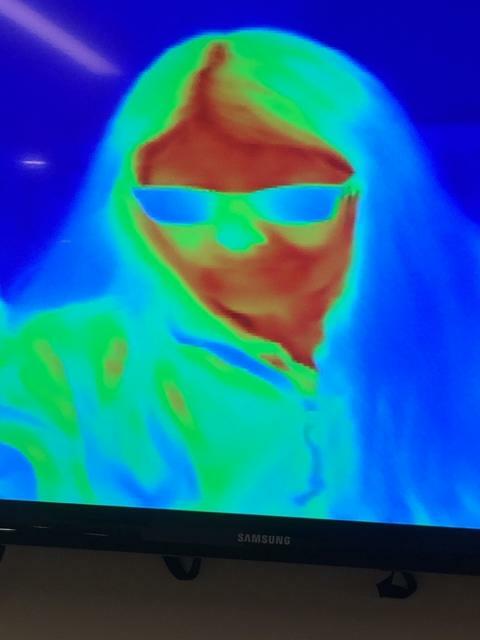 Infrared head shot - why isn't infrared used more for medical diagnosis? Submitted by Jeff Buster on Thu, 10/04/2018 - 17:25. I was bitten by a cat on the back of my hand and the bite became infected and began to swell and develop red skin tone....then the skin area began to get noticably hot to the touch. My flesh was, essenially, composting! An infrared image would have demonstrated the elevated temperature of the septic flesh and the area of infection. Instead a red line was pencilled around the area to see if it was going to grow, my body temperature was taken, and I got some oral antibiotic. Did the bomb need to be dropped on people to end WWII?